As we venture into 2014 another year is behind us and it is time to examine the database news that happened during the final quarter of 2013. Last year was another active and interesting year for those who follow the market for data and database systems. As usual, the year was highlighted by acquisitions, lawsuits, financial news, and new product announcements. And, of course, the fourth quarter of 2013 was chock full of those things. So as we move forward into the New Year, let’s review what happened in the DBMS marketplace during the past quarter. And we will begin by examining the acquisitions that occurred during the fourth quarter of 2013. We will begin our examination of last quarter’s data-related acquisitions with Big Blue, which was busy grabbing up technology to extend its Big Data and analytics offerings. In later September, IBM acquired Daeja Image Systems Ltd., a provider of software that makes it easier for business and IT professionals to view large documents and images. Daeja is a privately held software company with headquarters in Milton Keynes, UK. Financial terms of the deal were not disclosed. Daeja provides software that helps line of business employees across all industries, especially data intensive ones such as banking, insurance and healthcare, get faster access to critical business information. Users can open and view hundreds of document and image file formats, even if the native application is not present on their devices, which saves time and enables social collaboration and document sharing across the organization. This capability is critical to provide access to unstructured business data. “IBM is continuing to lead the way in helping organizations access the content they rely upon for everyday operations,” said IBM Enterprise Content Management Business Leader Doug Hunt. “The acquisition of Daeja will simplify how business data is viewed by department or line-of-business users.” IBM will incorporate Daeja into its Enterprise Content Management (ECM) software business. In early October, IBM agreed to acquire The Now Factory, a privately held provider of analytics software that helps communications service providers (CSPs) deliver better customer experiences and drive new revenue opportunities. The company is headquartered in Dublin, Ireland. Financial terms were not disclosed. The Now Factory’s software enables CSPs to gain real-time insights into their customers by analyzing large quantities of network and business data. The demand for this type of software is being driven by growth in the volume of real-time data that is being produced by mobile devices and the strain it is putting on mobile networks to collect and process events instantly, monitor their performance, and understand the impact of customer interaction. In November, IBM announced that it would be acquiring Fiberlink Communications, a mobile management and security company. Financial terms were not disclosed. Fiberlink’s MaaS360 cloud-based offerings will enable IBM to expand its bring your own device (BYOD) capabilities to deliver a complete mobile management and security solution that includes trusted transactions and security intelligence capabilities for mobile apps, users, content and data. “In a mobile first world, clients require a comprehensive mobile management and security offering. Often times they integrate solutions on their own and take on unnecessary risk,” said Robert LeBlanc, IBM senior vice president, Middleware Software. MaaS360 is the latest service to be rolled into the IBM MobileFirst platform, introduced earlier in 2013 and now includes more than 10 of IBM’s mobile acquisitions from the last four years. The platform aims to help IT departments not only manage mobile devices but also build customer-facing applications and deploy internal applications. Next up in our examination of Q4 acquisitions is SAP, which in September announced its plans to acquire KXEN, headquartered in San Francisco, California. KXEN provides predictive analytics technology for line-of-business users and analysts. By combining KXEN and enterprise business intelligence capabilities from SAP, along the HANA platform, SAP bolsters its ability to help companies harness big data and engage users across the enterprise. Financial terms of the deal were not disclosed. The KXEN technology is mature, with more than 500 deployments at companies such as AAA, Bank of America, Barclays, CBS Interactive, ING Direct, Lowe’s, Overstock.com, Rhapsody, Rockwell, Sears, U.S. Cellular and Vodafone. The acquisition should help to bolster SAP’s ability to deliver predictive analytics in the cloud. Furthermore, KXEN’s predictive technology can be used to enhance the value of core SAP applications for managing operations, customer relationships, supply chains, risk and fraud. And last, but not least, we have Oracle, which in late October announced that it has agreed to acquire BigMachines, a leading cloud-based Configure, Price & Quote (CPQ) solution provider. Financial terms were not disclosed.BigMachines’ CPQ Cloud accelerates the conversion of sales opportunities into revenue by automating the sales order process with guided selling, dynamic pricing, and an easy-to-use workflow approval process, accessible anywhere, on any device. More than 275 organizations of all sizes across a wide range of industries rely on BigMachines’ CPQ Cloud to streamline their sales processes.Big Machines’ CPQ cloud is being used by customers across many industries including at companies like ADP, Coca-Cola, Fuji Film, Rubbermaid, Siemens, Symantec and Vodafine. And so 2013 ends with many acquisitions still being made in the data and database systems market. IBM’s second quarter results came in lower than expected, with the exception of its mainframe and enterprise software units. IBM reported net income of $3.2 billion for the most recent quarter, compared with $3.9 billion for the same quarter last year, which is a decrease of 17 percent. Total revenues for the second quarter came in at $24.9 billion, which is down by 3 percent versus the second quarter last year. IBM’s Software revenues were $6.4 billion, up four percent as compared to the second quarter of last year. Software pre-tax income increased six percent and pre-tax margin increased to a healthy 37.2 percent. Revenues from IBM’s middleware products, including WebSphere, Information Management (database systems), Tivoli, Social Workforce Solutions (formerly Lotus) and Rational products, were $4.3 billion, up 9 percent compared to the second quarter of 2012. Also, during the second quarter IBM took a $1 billion charge for workforce rebalancing, which is a euphemism for cutbacks and layoffs. Microsoft Corp. announced revenue of $18.53 billion for its fiscal first quarter. Gross margin, operating income, net income, and diluted earnings per share for the quarter were $13.42 billion, $6.33 billion, $5.24 billion, and $0.62 per share. All of these results represent growth versus the corresponding period in the last fiscal year. Microsoft appears to be in the best financial situation of the four companies analyzed here. Why might this be the case. It is likely due to the company’s improved sales to business. Microsoft has reorganized since its last earnings report, now breaking out results into two broad categories: Commercial revenue which is to businesses, and Devices and Consumer revenue, which is generally to consumers. Commercial revenue grew 10 percent to $11.2 billion, with SQL Server, Lync, SharePoint, and Exchange, growing collectively by grew double digits. SQL Server Premium revenue grew more than 30 percent. Microsoft also announced a new $40 billion share repurchase authorization with no expiration date. This was necessary because the company’s prior $40 billion buy back plan was set to expire at the end of September 2013. The company also announced a dividend increase of 22 percent to $0.28 per share. For its fiscal first quarter Oracle reported 59 cents earnings per share based on revenue of $8.38 billion. This result was disappointing to analysts who were expecting $8.48 billion revenue, even though the company beat EPS expectations of 56 cents per share. 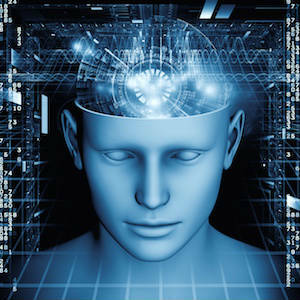 Software revenues were up 8 percent rising to $6.08 billion from $4.14 billion in the same quarter of 2012. The company no longer breaks out its database revenue from its applications revenue, so there is no way to determine how these two segments are performing. Additionally, Oracle’s Board of Directors declared a quarterly cash dividend of $0.12 per share. SAP’s third quarter just barely missed analyst expectations, too. The company announced earnings per share of $1.03, beating the analyst estimate of $0.98 per share, but missing the consensus earnings estimate of €1.32B. Revenue was up 2 percent over the previous period last year at $5.5 billion for the quarter. Third quarter software and cloud subscriptions revenue increased 13 percent over the same quarter last year. Interestingly, SAP claims to have the largest subscriber base in cloud computing, with 33 million users. Cloud revenue for the quarter was up 79 percent at $522 million. “SAP is clearly leading the transition to cloud and in-memory. SAP HANA is the market’s most advanced in-memory database and we are well on our way to reach €1 billion in HANA software revenue since market launch. The strong customer adoption of SAP Business Suite on HANA demonstrates our leadership in innovating the future platform for business,” said Bill McDermott and Jim Hagemann Snabe, Co-CEOs of SAP. Regular readers of this column will know that Microsoft’s current CEO, Steve Ballmer, announced last quarter that he would be stepping down. That started an avalanche of rumors regarding who would replace him at the top in Redmond. So perhaps in the next installment of The Database Report we will have news on the next Microsoft CEO. Everybody who follows the IT news cycle should be aware of the Gartner Magic Quadrant reports. These annual reports focus on a specific area of technology and rate the vendors in that space in terms of their ability to execute and the completeness of their vision. This year’s DBMS magic quadrant offered up some changes with Gartner renaming the report from the OLTP DBMS to Operational DBMS. And they also focused in on some of the newer DBMS technologies giving additional coverage to nontraditional database management systems like Cassandra and MongoDB. Nevertheless, Gartner still sees a wide gap between the established DBMS vendors and the newer offerings. Gartner pegged Oracle, Microsoft, IBM and SAP as the Leaders; InterSystems and EnterpriseDB are named as Challengers; Aerospike is the only provider listed as a Visionary. Twelve additional vendors filled out the Niche Players category. Over time it will be interesting to watch this report to see which Challengers, Visionaries, and Niche Players can work their way into the Leaders space. But for now, the DBMS world is ruled by Oracle, Microsoft, IBM and SAP. The rollout of Oracle’s in-memory database option at Oracle OpenWorld, touted by Larry Ellison as enabling Oracle databases to run “dramatically faster” without any application changes needing to be made at all. The new offering is not TimesTen, which Oracle bought several years ago, and seems to be a direct reaction to the success of SAP’s in-memory HANA solution. And Larry Ellison took some flak for skipping his scheduled OracleWorld appearance on Tuesday so he could watch Oracle Team USA race against Emirates Team New Zealand on the San Francisco Bay. So what is more important: watching a boat race or speaking to 60,000 of your best customers? A majority of Oracle shareholders voted against the compensation package of Larry Ellison. More than two billion shares were voted against the company’s “say on pay” measure at Oracle’s annual meeting, with close to 1.6 billion in favor of the proposal. Of course, Mr. Ellison’s owns 1.1 billion shares and you can quess how he voted, right? After all, Ellison received $78.4 million for the 2013 fiscal year, according to Oracle’s proxy statement. The company also made its cloud-based distribution of Hadoop (developed in conjunction with Hortonworks) generally available at the end of October 2013. Windows Azure HDInsight is 100 percent Apache Hadoop and builds on top of HDP. Microsoft also acknowledged that the company has given up on its earlier plans to deliver a Microsoft-Hortonworks developed implementation of Windows Server and will instead advise customers to use Hortonworks Data Platform (HDP) for Windows. Microsoft made positive news by announcing that it would be eliminating its stack-ranking system, which effectively encourages workers to compete against each other rather than collaborate with one another for the betterment of the company. IBM partnered with Cloudera to produce integrated Big Data offerings. The offering combines the capabilities and features of Cloudera (Hadoop) with the bare metal cloud servers of IBM SoftLayer. The offering can be deployed on demand and billed on a pay-as-you go basis. 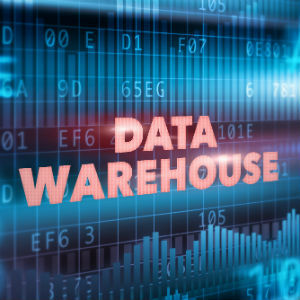 At IBM’s Information on Demand conference the company showed an early-access preview of its BLU Acceleration for Cloud, new capabilities for data discovery in its InfoSphere Data Explorer, and improvements for its IBM PureData System for Hadoop. IBM also introduced an InfoSphere Data Privacy for Hadoop offering that lets users anonymize data in Hadoop and NoSQL database systems. And that brings us to the end of another year in the database marketplace. As usual, the data and database world is an interesting place, offering up news of acquisitions and lawsuits; see-saw financials and great new technology. 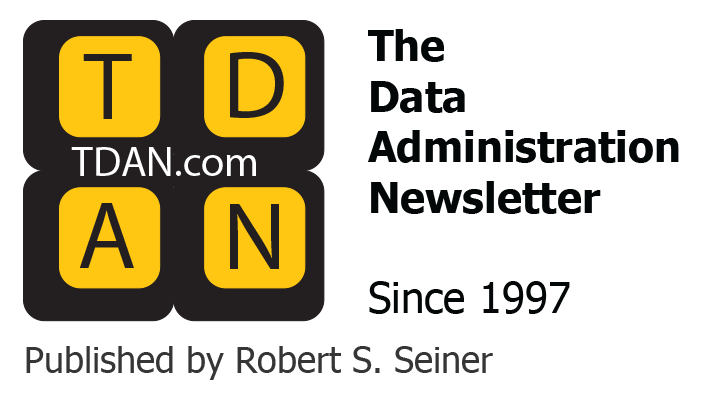 If you manage or use data in your profession, you’ll want to keep up-to-date on the happenings in the realm of database systems during 2014, so be sure to check back with us every quarter to read each new edition of The Database Report on TDAN.com.